Closed: 5"; Blade: 3.5" l D2 Tool Steel l Standard Edge l Stonewash Finish; Other Info: Thumb Stud(s) l Lanyard Hole l Pocket Clip l Thumb Ridge. 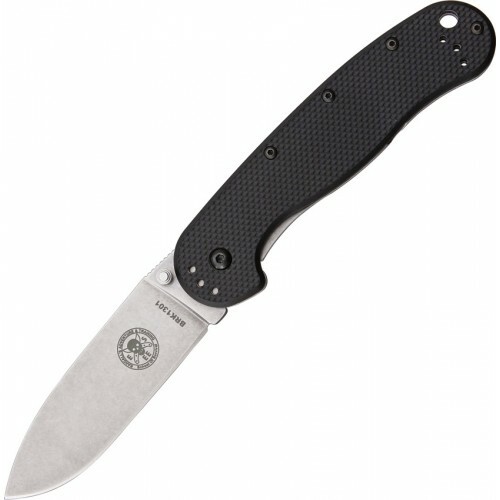 Black GFN front handle with stonewash finish stainless back handle. Boxed.